1. For this cookie you must harness and use your sadness, anger, and or any other emotion you have been feeling since you have found out you are out of treats. 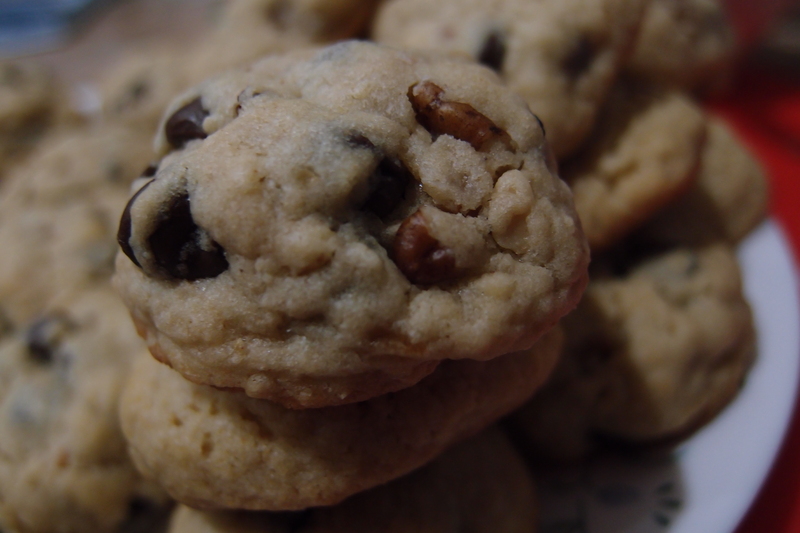 Through these emotions, you will create the most powerful cookie you could possibly imagine. This is not your average oatmeal cookie. This cookie heals wounds. Wounds that only you could understand. Use your strength, your emotions, your unbridled anger and preheat the oven to 350 degrees. 2. In a mixing bowl, add the butter, peanut butter, sugars, vanilla, and mix until the concoction is fluffy. Fluffy butter and sugar mixtures make for happy cookies. These cookies must be the filled with happiness in order to assist you in filling the void the lack of sweets has created. 3. To your butter mixture, add the flour, baking soda, oats, egg, and milk. Mix the dough until in takes a cookie dough shape. 4. Once the dough is in its desired shape, add the chocolate chips and chopped pecan bits. These are additional bits of happiness that will assist the cookies in replenishing your pleasant feelings and motivation to live overall. 5. Prepare your cookie sheet, I like to line mine with parchment paper. You can use whatever you like. 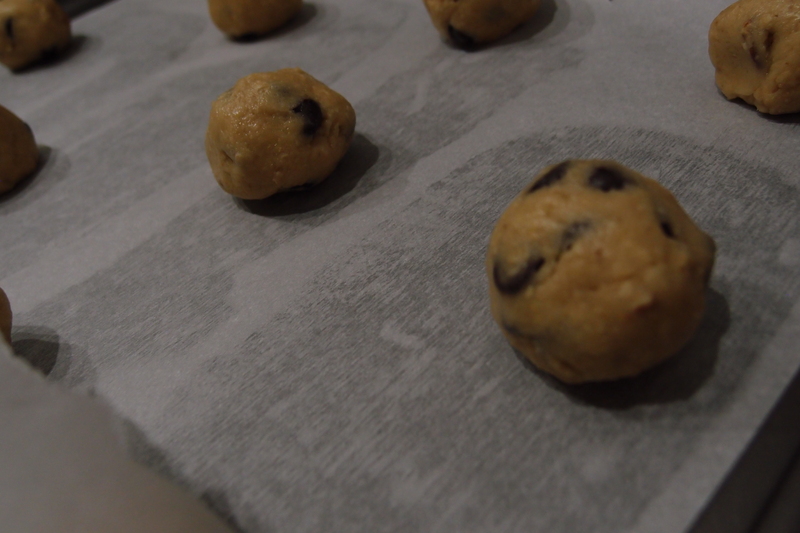 Roll the cookies to your desired size and bake from 10-12 minutes. 6. Once your cookies are cooled, take a bite. Take that glorious first bite of your freshly-out-of-the-oven-cookie and replenish your strengths. Life is hard. You are now ready to tackle the world. Nothing can stand in your way. They sound absolutely delicious, and the perfect way to use up some of my many pecans! I’m glad I’ve provided you with a way to get rid of some pecans. It’s always nice to have some pecans in your cookies. So that is what you are supposed to do when life destroys your cookies. I always thought you were supposed to sit around being bitter until more appeared. No, you can’t just sit and be bitter. You have to take action, specially if life takes your cookies. You can’t tolerate that! Or you could just be bitter until life gets tired and gives you back your cookies. Life will pay dearly for stealing my cookies. I’m definitely going to punch it in the face. These look amazing. 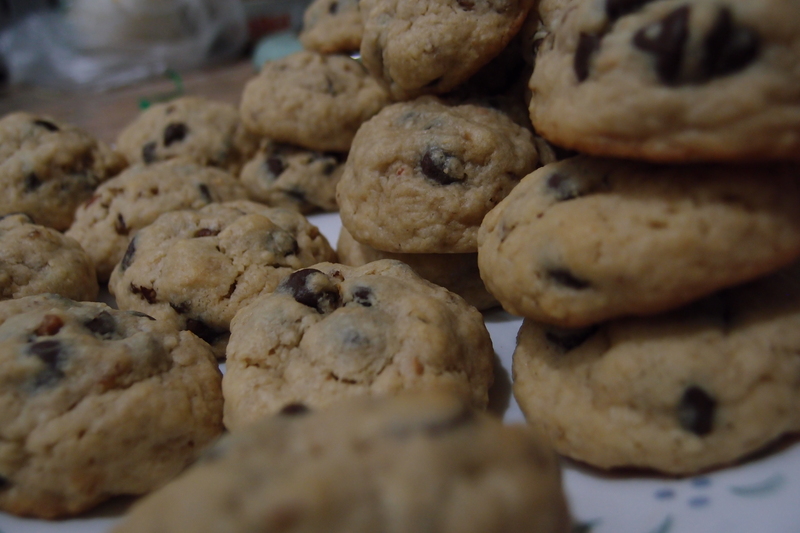 I think cookies make life so much better!